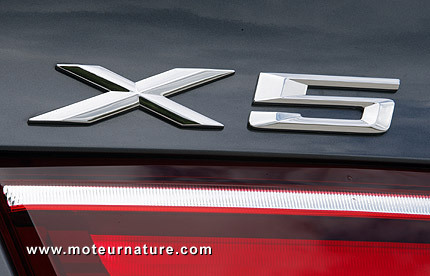 Nobody sees a green car in the BMW X5, but its maker is working hard to make the next generation more fuel efficient. The present BMW X5 is quite large and heavy, with the next one expected to be even larger, but it should become lighter. At least by 200 pounds, and the base model should gain even more because of an engine downsize. Base engine for today’s X5 in Europe is a 3-liter inline six, the next generation shall start with a four-cylinder. That doesn’t sound right. A luxury SUV this size with a small four? But BMW’s latest small engines are far from small when it comes to making power. The best inline four from the 3-Series makes 245-hp, and the diesel one gives 332 lb-ft of torque. All that from 2-liter! So it can be gas or diesel, a four cylinder engine would be more than enough for family use. At least in Europe. Of course, for those who want more power, the V8 X5 will still be available. There’s also the rumor of a X5 hybrid, with a four-cylinder engine. It could have a small electric motor to make it even more efficient, but that would be a mild hybrid, not a full hybrid like the Prius. Next BMW X5 is scheduled to appear in September, with first European deliveries in early 2014.